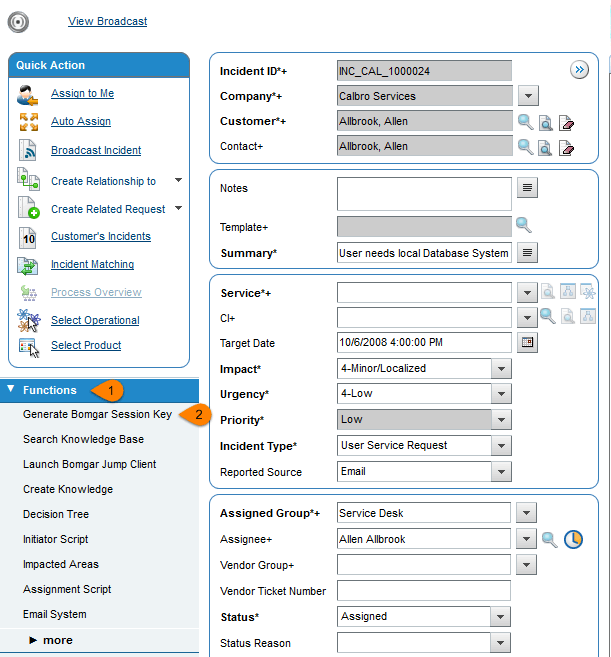 Support staff can generate a session key that can be given to the end user over the phone or via email to initiate a support session that is automatically associated with the selected ticket. This can be done from within Smart IT. 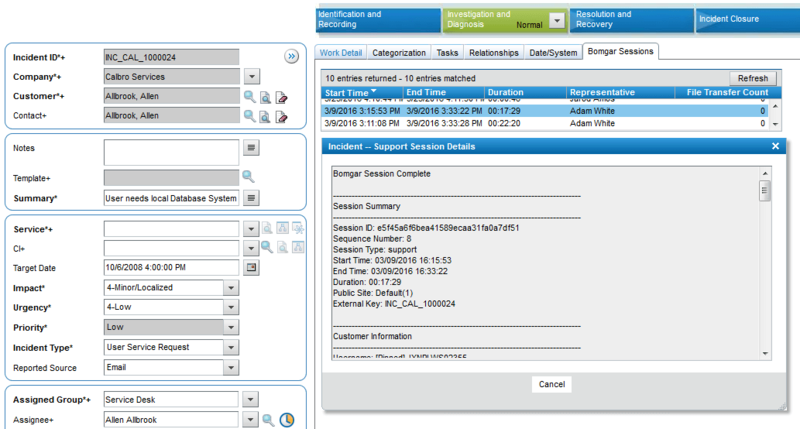 To be flexible in meeting varying needs, session data can be displayed within a custom BeyondTrust Sessions tab on the Incident form, added as a Work Note, or both. 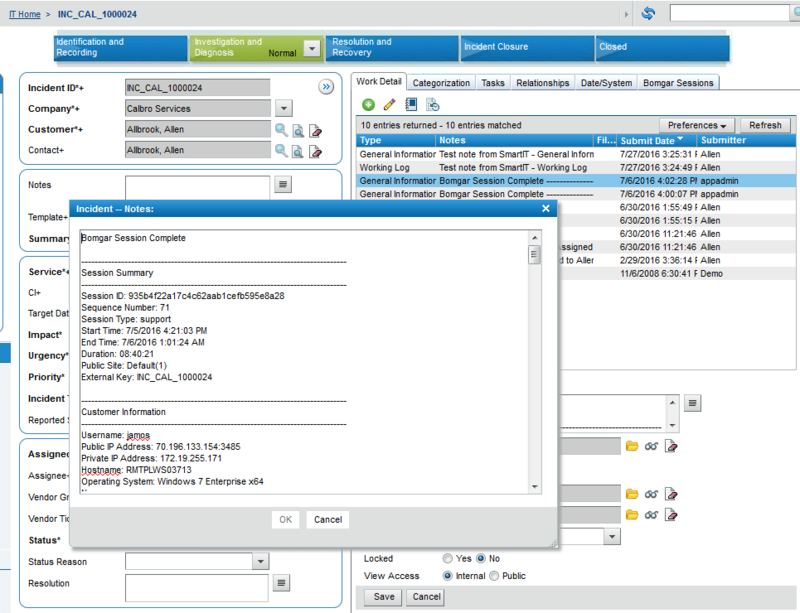 Support staff can leverage BeyondTrust Jump Technology to access a configuration item associated with a ticket directly from the BMC Remedy ticket. Self Service users can open their submitted requests in the SRM Request Entry Console and start a chat support session directly from the BMC Remedy ticket. This allows the user the quickest path to resolution while also providing the representative with the necessary context to assist the user. Sessions can be elevated to full support sessions if enabled and when necessary. Using BeyondTrust's custom links ability, a representative can access the associated ticket directly from within the representative console. This saves time searching for the ticket in BMC Remedy and provides the representative with any available \issue details, history, or other context to help quickly resolve the issue. 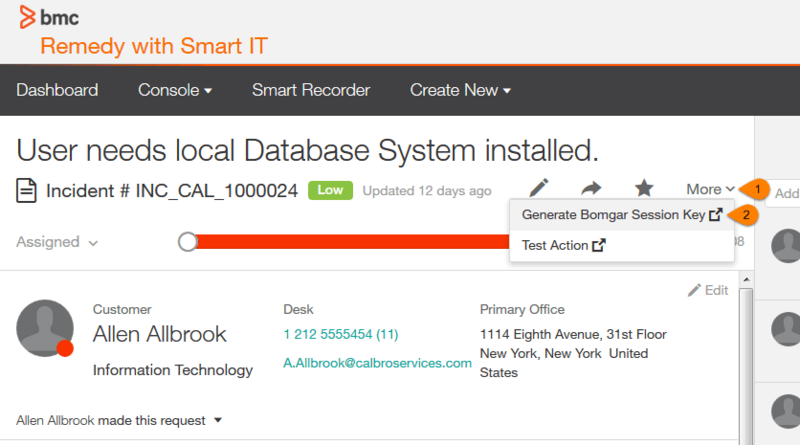 Using the Smart Recorder in Smart IT for BMC Remedy and BeyondTrust's custom links, a ticket can be created from within the representative console with a single click when the representative is in session. 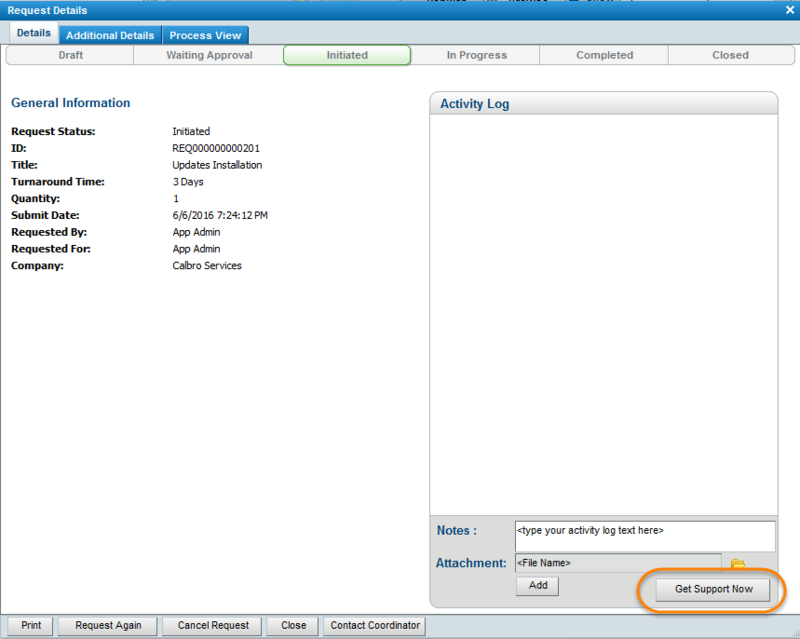 The customer name and issue description from the BeyondTrust session are automatically passed into the new ticket. If available, this can save time and unnecessary clicks for support staff.